• Capacity : Up to 25.00 Joules. • Release angle of pendulum: 150 degree. 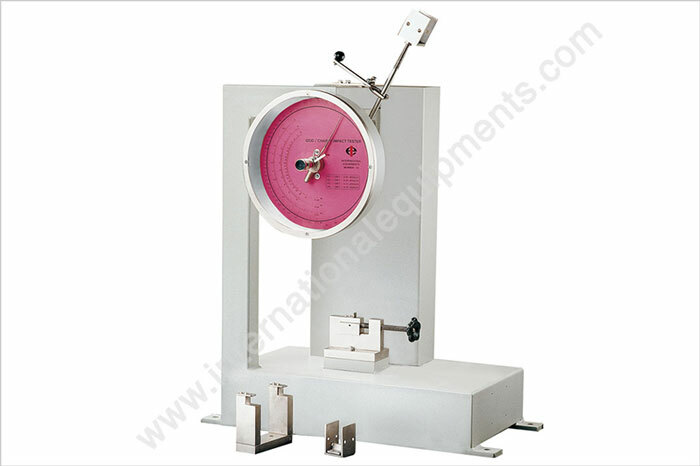 • Range of four scales : 0-2.71 Joules, 0-5.42 Joules, 0-10.84 Joules, 0-21.68 Joules and 0-25.00 Joules. • Minimum resolution on scale : 0.02 Joule, 0.05 Joule, 0.1 Joule, 0.2 Joule and 0.2 Joule respectively. 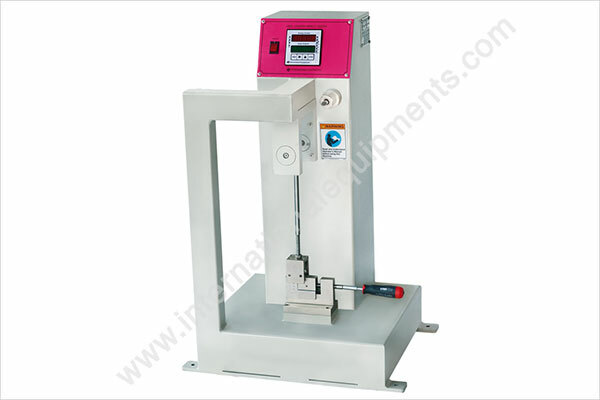 • Direct display through microcontroller : Impact strength in joules/meter and kg-cm/cm. • Graphic display and printout through PC : Impact energy Vs Angular displacement graph and numeric reports consisting of values for impact strength as per ASTM standard, ISO and IS standard in different units could be obtained by attaching a printer to the PC. • Capacity : Up to 21.68 Joules. • Minimum resolution on scale :0.02 Joule, 0.05 Joule, 0.1 Joule and 0.2 Joule respectively.